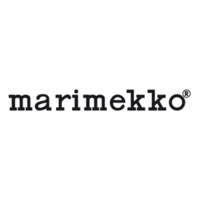 More about Marimekko Metro Night Blue Backpack Phones, tablets, laptops; we have a lot to carry these days, and the Marimekko Metro can accommodate it all. 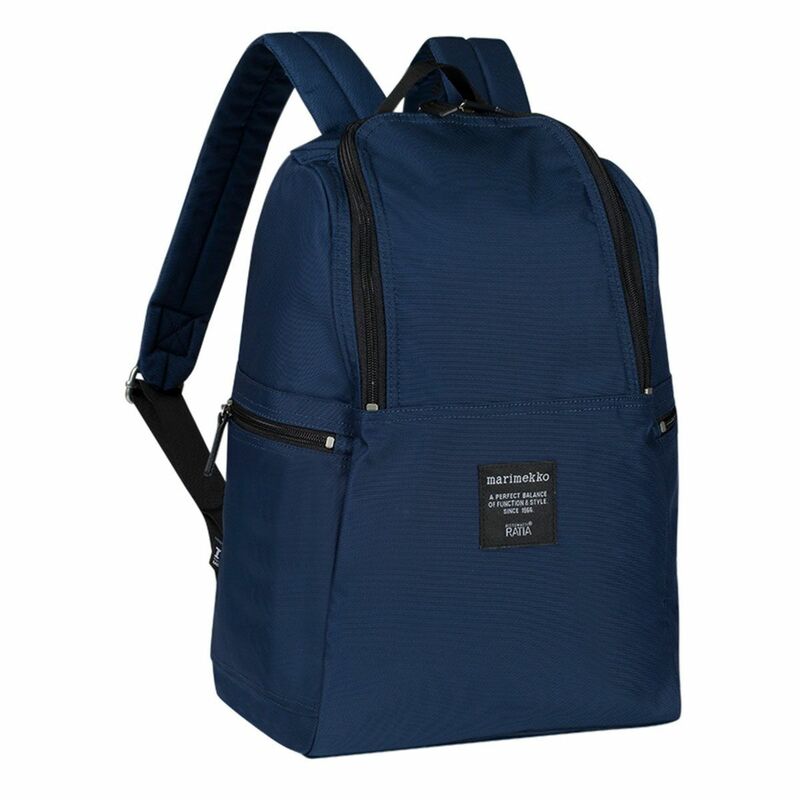 The front flap opens to reveal a mesh zippered side pocket, as well as another separate pouch just below. Inside, the main compartment is divided into two roomy sections, one of which has a Velcro tab to protect valuables from moving about on a bumpy bike ride. 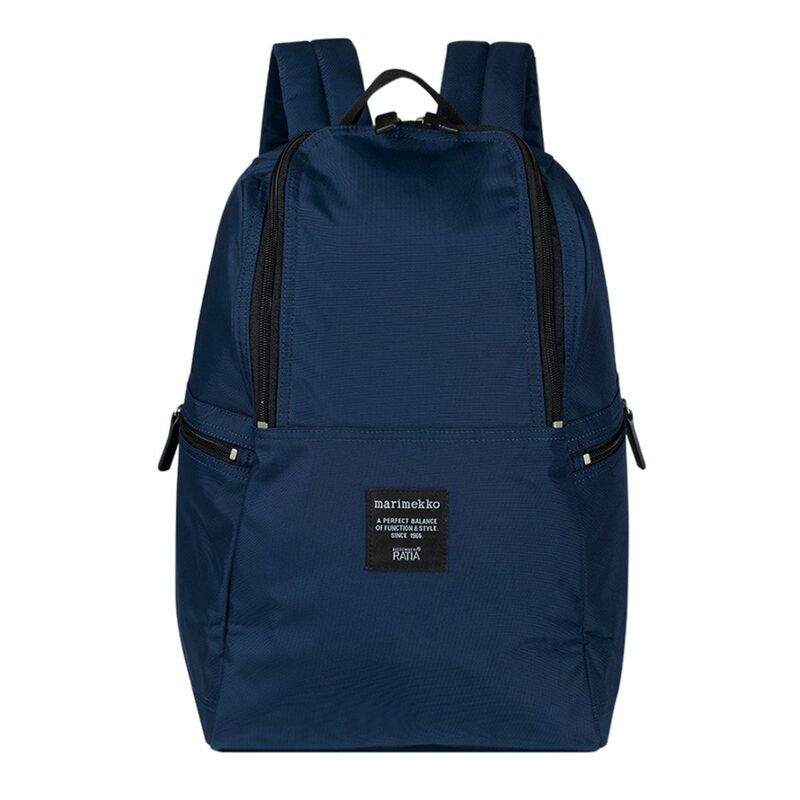 The navy "night blue" 100% nylon exterior has two zippered side pockets, as well as a hidden back pocket perfect for keeping a wallet safe. 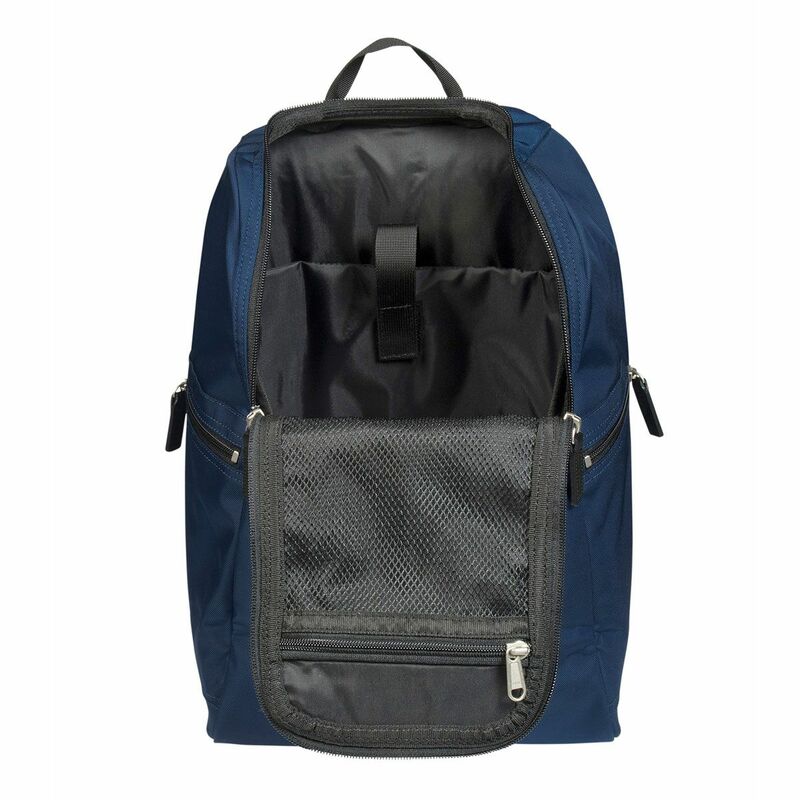 The sturdy, adjustable straps on this travel veteran promise a safe and comfortable journey even for heavier items. On the outside of this built-to-last bag is a woven Marimekko tag that sums it all up; "a perfect blend of function & style since 1966." I have been using this bag for about a week now. I was looking for an attractive, professional bag to commute on the train. It's the perfect size for daily use. 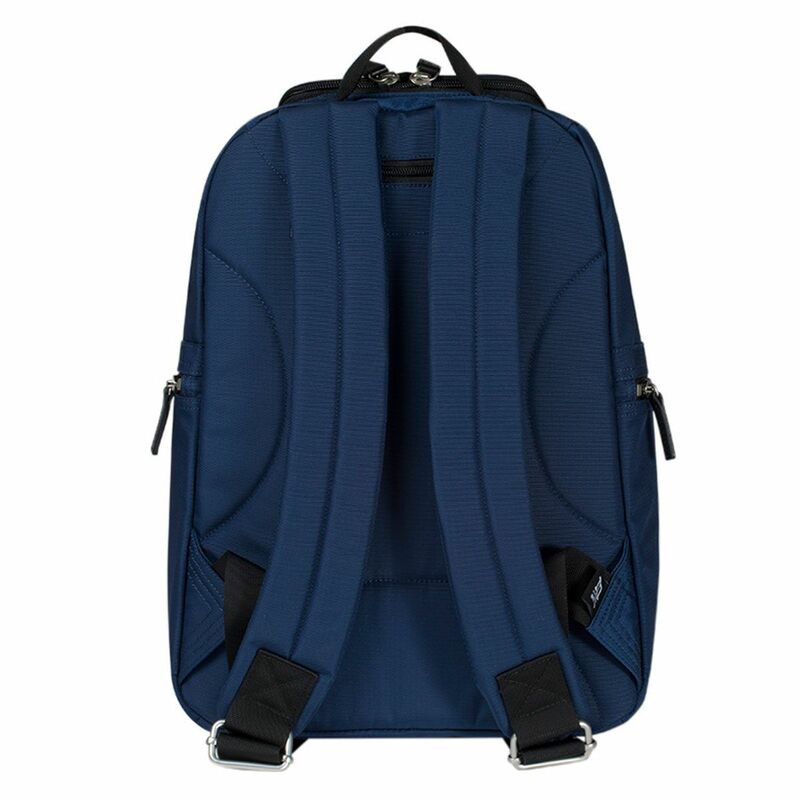 Large enough to fit essentials to include a planner, iPad, water bottle, umbrella, etc, but not nearly as bulky as most backpacks. Lots of pockets available to keep everything organized and easy to find. There's a padded tech sleeve in the back of the main compartment, but I think the overall size of the backpack may make it too small for a laptop (I personally haven't tried, though). I love this bag and would purchase it again. This is an attractive backpack, looks better in person than in the pics. The material is high quality nylon in a rich color and is finished beautifully throughout. The straps are comfortable as well. The exterior has several zip pockets and there is one in the interior. However, the side pocket openings are narrow so it can be challenging getting a hand into them if you need to retrieve something from the bottom. I got this pack for work essentials so I wouldn't rate it for extensive travel use. Nor does it have a pocket for a laptop. It's a good choice at the sale price.